Interaction. Without it, exhibitions or any form of promotional activity have very little value. There are times however when face to face conversations can only go so far. By collecting data from people via devices such as iPads and tablets, we are able to achieve much more. 200m2’s range of iPad counter displays and freestanding tablet displays will enable you to display content in a fun and engaging way. 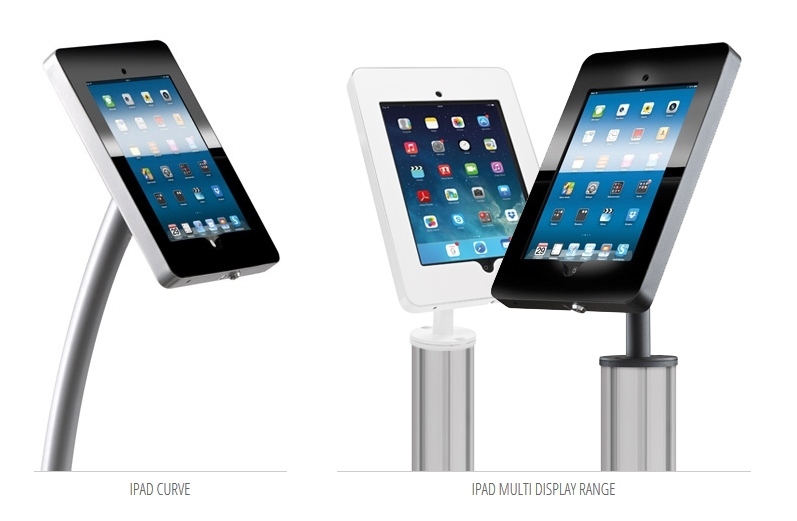 Our displays are designed to be versatile and stylish but also to safely secure your technology from damage or theft. Our displays rotate a full 350° and can swivel 350° as well. What’s more the surface mounted versions can tilt to 90°. With a little imagination, countless combinations of display configurations are possible.